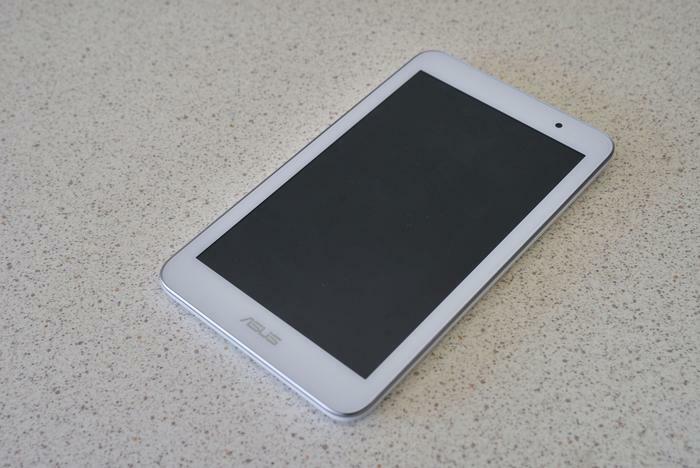 Asus' MeMO Pad 7 is best tablet for its $229 price. Asus has found ripe middle-ground with its Android overlay, the design is the kind you’ll want to flaunt and there are a tonne of features. The Nexus 7 is the budget tablet we recommend, but many will rather pocket the $70 and pick this up instead. 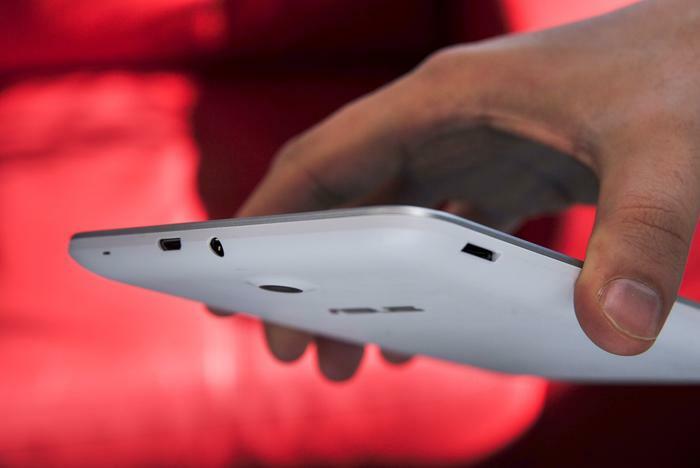 Asus' introductory tablet looks great and has a solid set of features. A $229 price makes it accessible to the masses, but we do worry the Intel-powered tablet might not be for everyone. There’s no denying the 7in MeMO Pad is a looker. The "good look" gene has trickled down from the 8in version with the adoption of a clean white face. Only one trait other than the size differentiates it from the 8in variant, and that’s the asymmetrical placement of its front camera. Some parts of the tablet are even better. Flip the tablet over and the matte finish of its back adds a premium feel foreign to the MeMO Pad 8. Then there’s the redesigned speaker grille, but none of these shock us as much as the “Intel Inside” branding. The branding is the first of many to grace Asus smartphones and tablets after the two further solidified their ‘strategic partnership’. Intel may reign in the computer market, but in the mobility space it follows Qualcomm and NVIDIA. The MeMO Pad’s 7in display has a 1280x800 resolution for a sparse 216 pixels-per-inch. Fingerprints taint the screen and videos won’t be presented in all their glory, but the display on the MeMO Pad 7 bodes well when you consider its price. 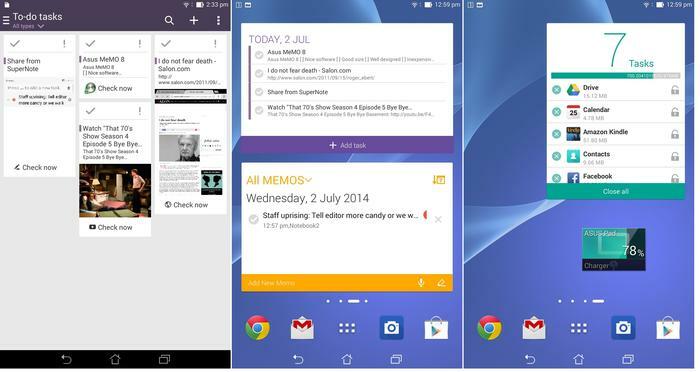 Android’s latest 4.4 KitKat software runs on the MeMO Pad 7 and it has been dressed in a heavy Asus overlay. 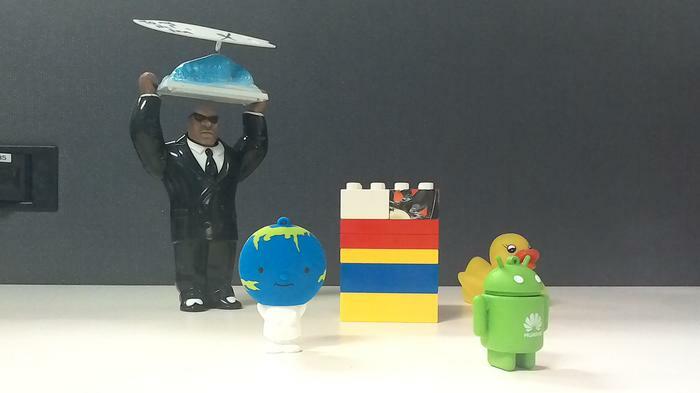 Supplementary applications are aplenty and ‘droid purists will appreciate that most of them can be uninstalled. We recommend purging X-ray scan, SocialLife News and Omelet Chat. Promptly toss these third party applications in the trash. The applications developed by Asus are another story. 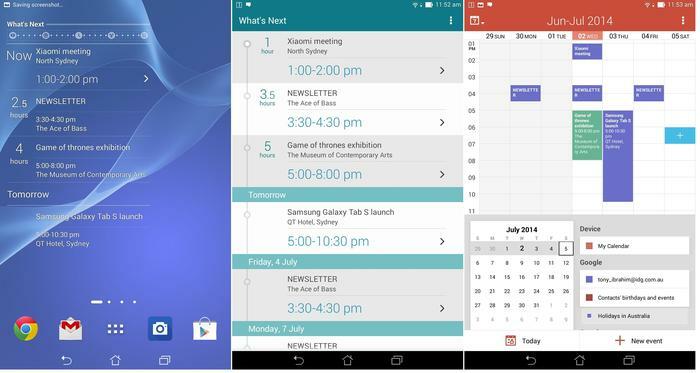 ‘What’s next’ and ‘Do it later’ make up for some of the little shortcomings in Android. What’s next pulls the events scattered across days in your calendar and places them in one clean interface chronologically. Several applications on Google’s Play store do just this, but none of them do so quite as well. Do it later ties together all of the things destined for procrastination into one interface. Ubiquity is what makes Do it later valuable to Android users; the application logs YouTube videos, webpages, memos and basically any application with the stock ‘share’ icon. These tasks are then displayed all in one place and can be churned through with ease. Rarely do we make mention of widgets, but the MeMO Pad’s suite deserves commendation for livening the desktop. Most of the time the MeMO Pad 7 chugs along without skipping a beat. Most of the time. Then signs of lag or a brief moment of application stutter will weigh in and undermine the experience. The way this tablet sifts through tasks is what hints it has a low price. Beating inside this tablet is an Intel 1.3GHz quad-core CPU (turbo boost up to 1.86GHz), 1GB of RAM and 16GB of internal storage. An unexposed microSD card slot will accommodate a further 64GB of storage, while a 3950 milliamp-hour battery powers the tablet. Good Gear Guide used the tablet to stream movies to our Chromecast, browse the web, send emails, manage our calendar appointments and for social networking. Energy saving modes were disabled and the screen brightness fluctuated between mid-to-max. The MeMO Pad 7 still averaged over two days of use. 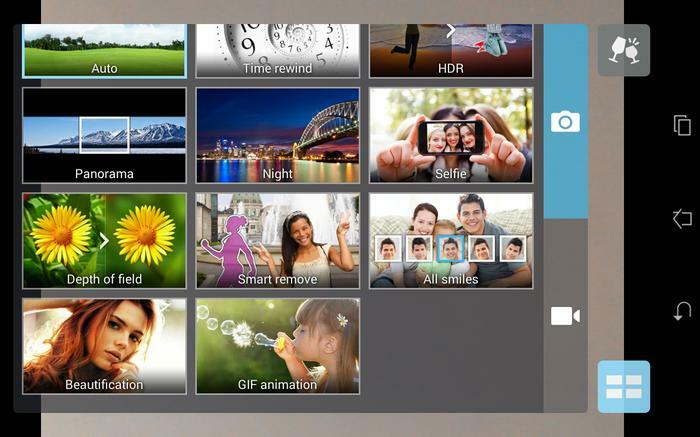 Connectivity fares well with support for Miracast, single-band Wi-Fi (802.11n), Bluetooth 4.0 and GPS. Subtly bulging on the back of the MeMO Pad 7 is a 5 megapixel camera that will record videos in Full HD resolution. The real value doesn’t come from the quality of photos captured by the Pad 7 — they’ll barely cut it for social networks. A multitude of modes is what redeems this camera: one hundred burst shots can be taken in rapid succession and easily deleted; objects can be removed from the background of photos; GIFs can be easily compiled and; the inclusion of an HDR mode will do landscape shots some justice. A 2 megapixel camera sits asymmetrically on the front of the tablet and can be used for videoconferencing over applications like Skype. Image noise is common to photos and videos snapped by this camera, but it’s to be expected from a tablet in the MeMO Pad’s price bracket. 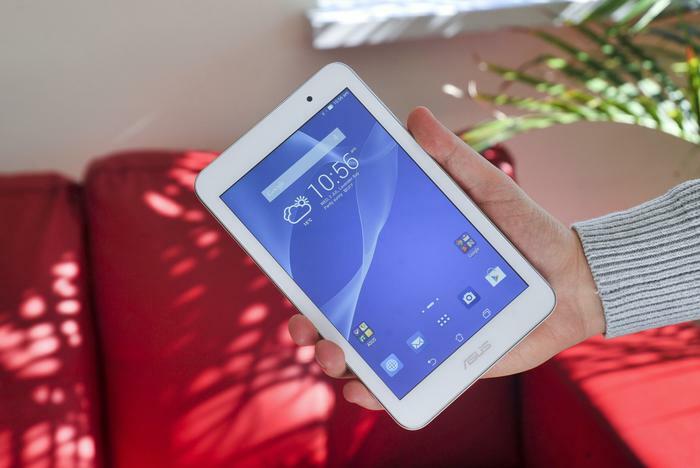 There are better tablets than the Asus MeMO Pad 7. Multitasking makes it feel sluggish and that lack in performance will leave you impatient when you’re using it for emails, web-browsing or what-ever else. But it is also the best tablet for its $229 price. Asus has found ripe middle-ground with its Android overlay, the design is the kind you’ll want to flaunt and there are a tonne of features. The Nexus 7 is the budget tablet we recommend, but many will rather pocket the $70 and pick this up instead.